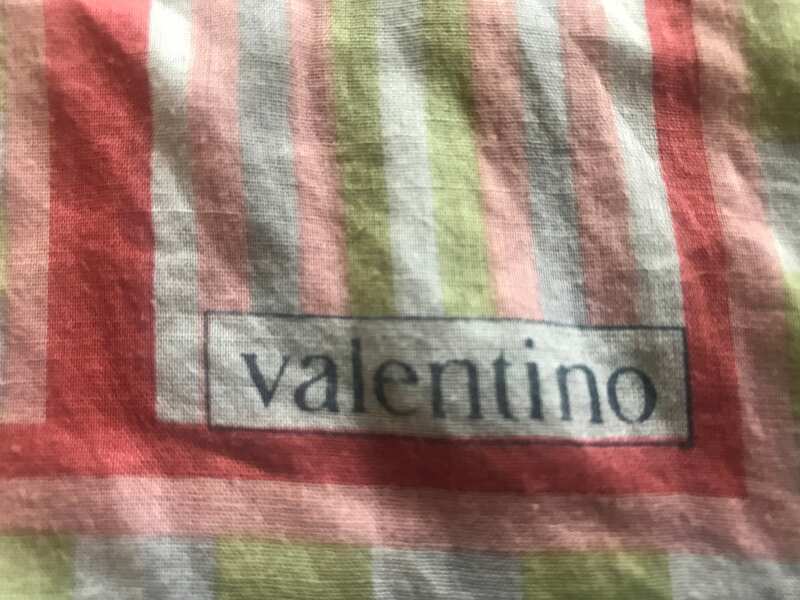 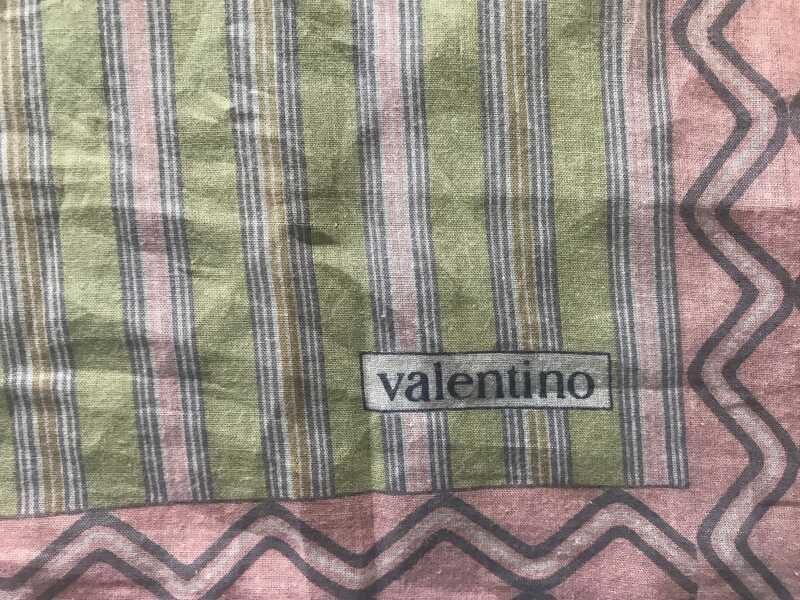 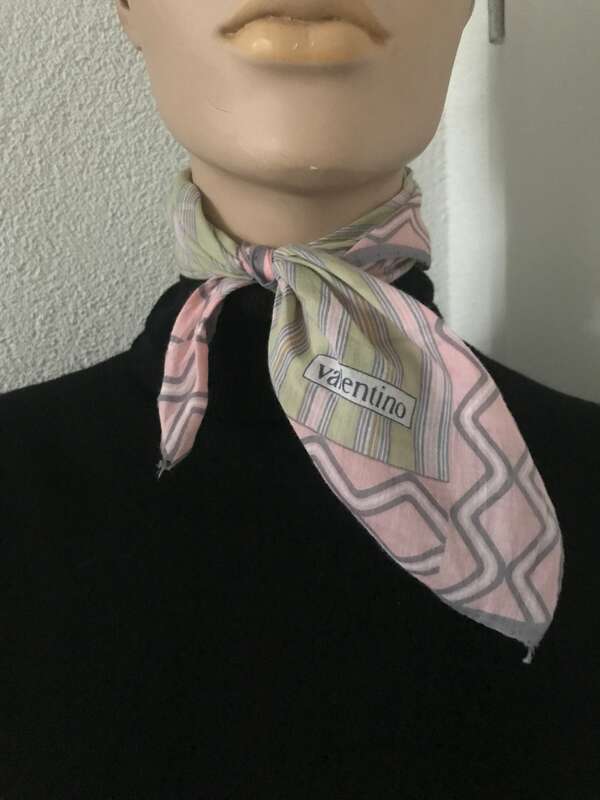 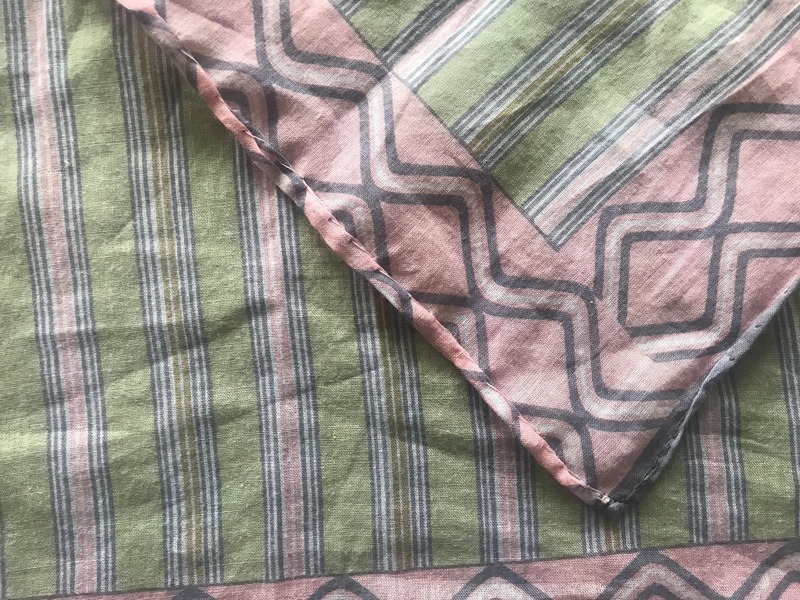 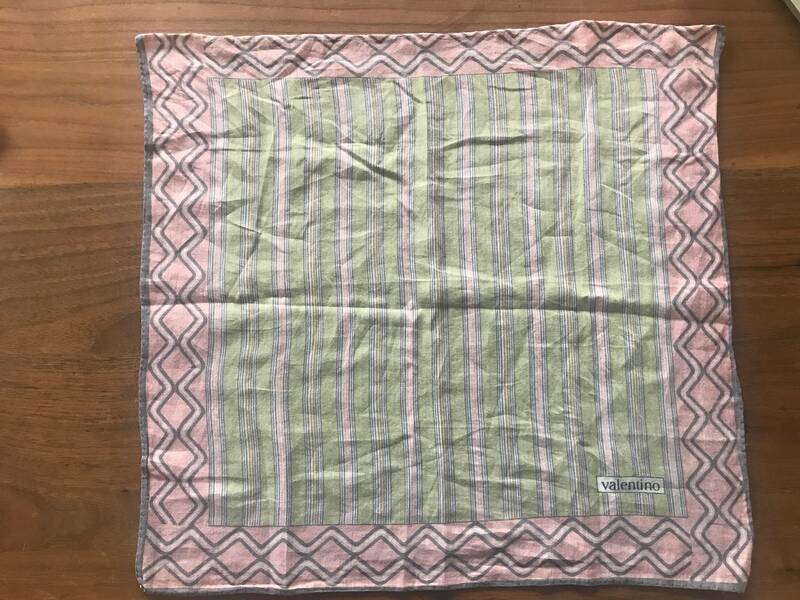 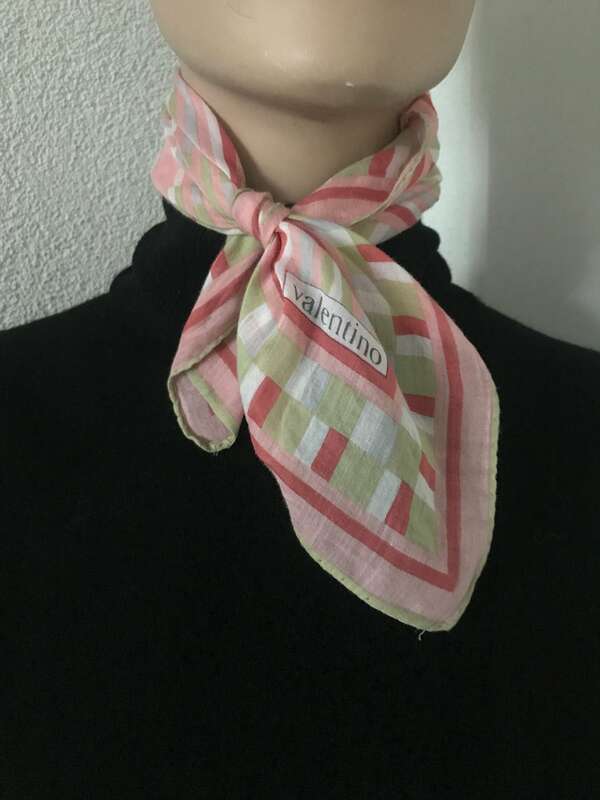 Vintage Valentino scarves or handkerchiefs. 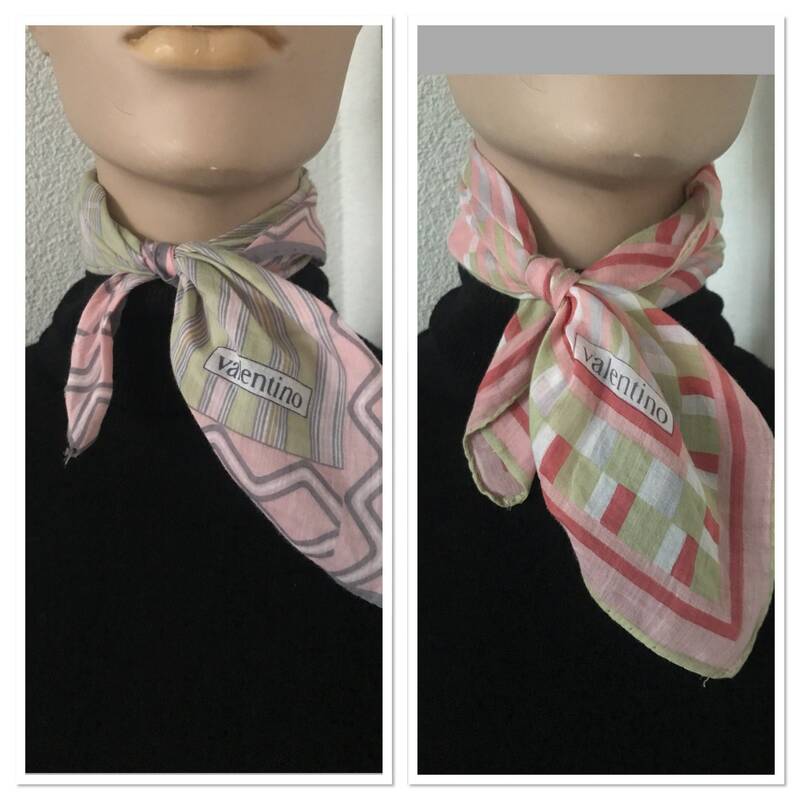 Both items are 100% cotton and hand rolled. 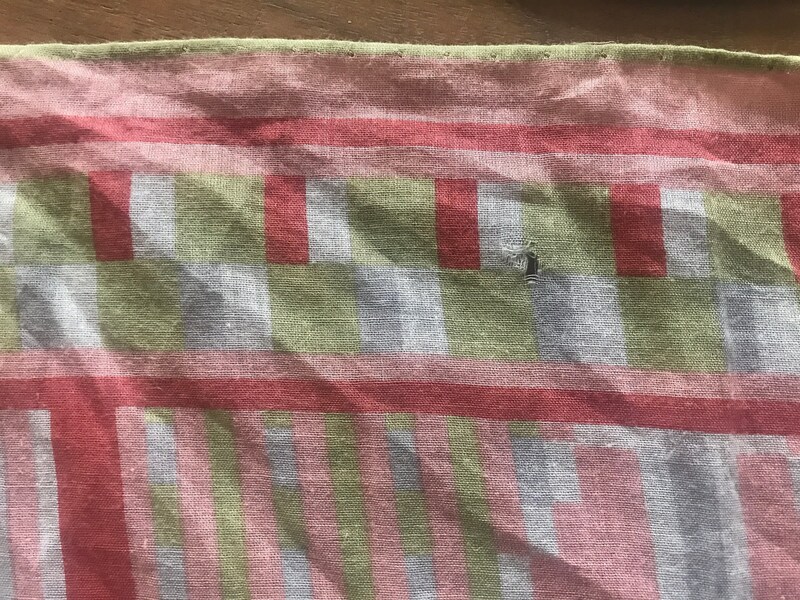 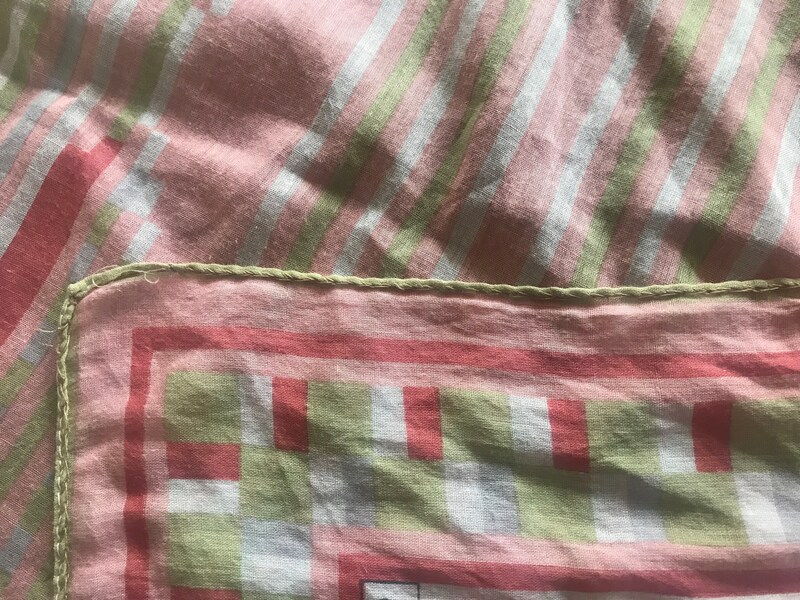 One scarf has a little hole, one side is sewn by hand again. 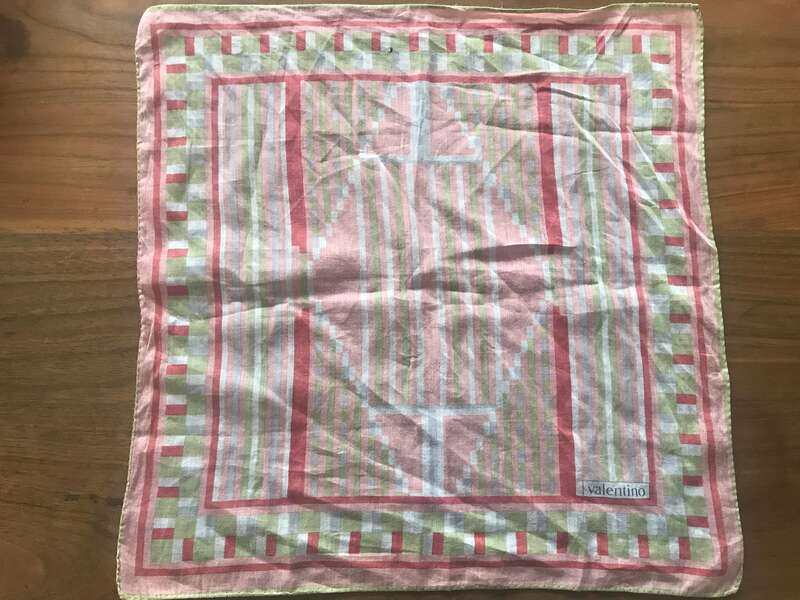 See last pictures.